The co-operation between an OEM and an MRO company isn't just a story. 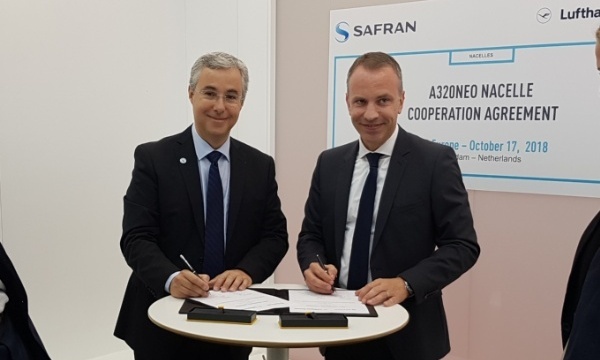 Safran Nacelles and Lufthansa Technik opened MRO Europe exhibition in Amsterdam together, with the announcement of a co-operation agreement for the maintenance of Airbus A320 nacelles powered by LEAP. The aim is to provide greater service flexibility and reduce their costs. Chafic Hanna-Daher (Safran Nacelles): "Our objective is to double turnover from service contracts by 2022"